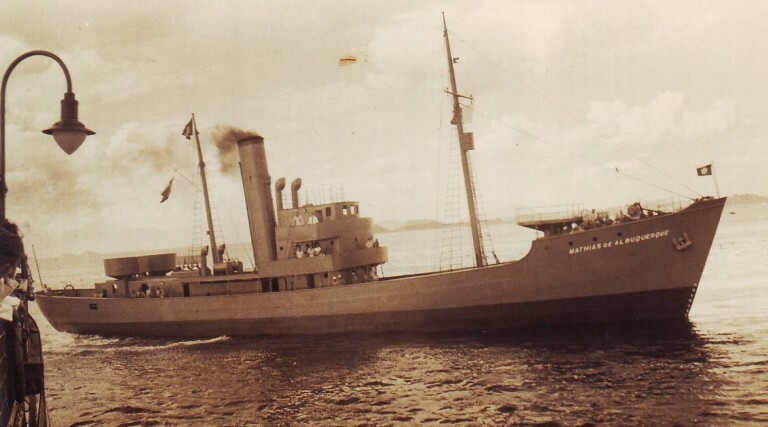 Corvette Mathias de Albuquerque, Ex-Pampano was ordered with five more of the same class by British Shipowner The Marine Navigation Company Ltd., as fishing trawlers and was built by the Brazilian shipyard Organização Henrique Lage, at Viana Island, Niterói, Rio de Janeiro. 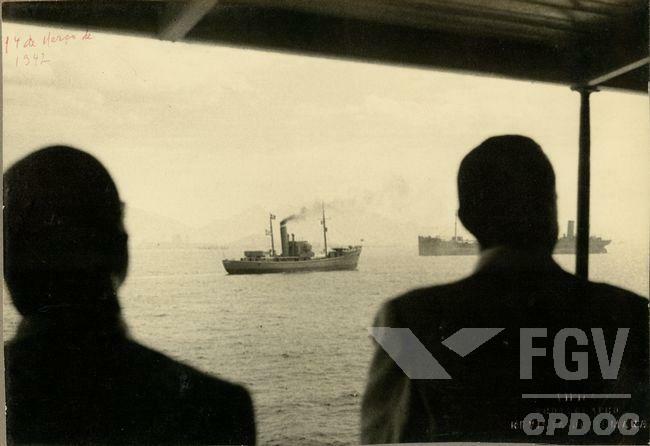 With the War II outset, these vessels already under construction, with all units with keel laid and 2 launched, were ceded by the British Admiralty to the Brazilian Government on 24/Aug/1942. 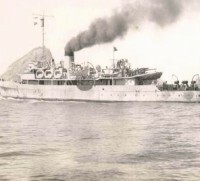 The cost was afforded by the Brazilian Navy and they were incorporated 20/Nov/1943. 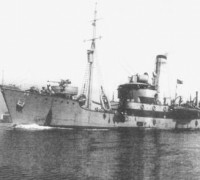 Pampano, was re classified as a Corvette and was named Matias de Albuquerque. 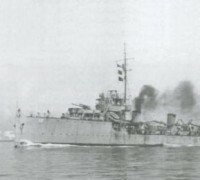 Her first commander was Lieutenant Captain Vicente Bulcão Viana.Mathias de Albuquerque took active role in the patrol escorting several convoys in the West South Atlantic sub área. 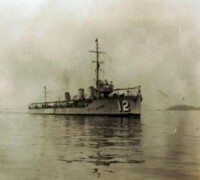 Above, Corvette Matias de Albuquerque seen during operations. Source Fundação Getulio Vargas.